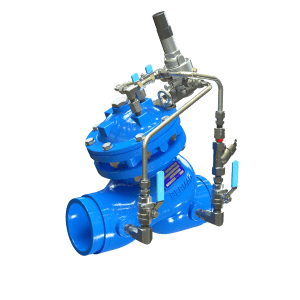 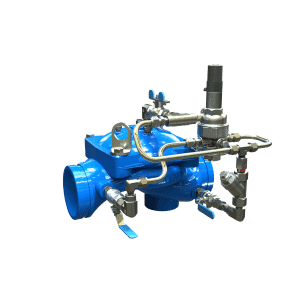 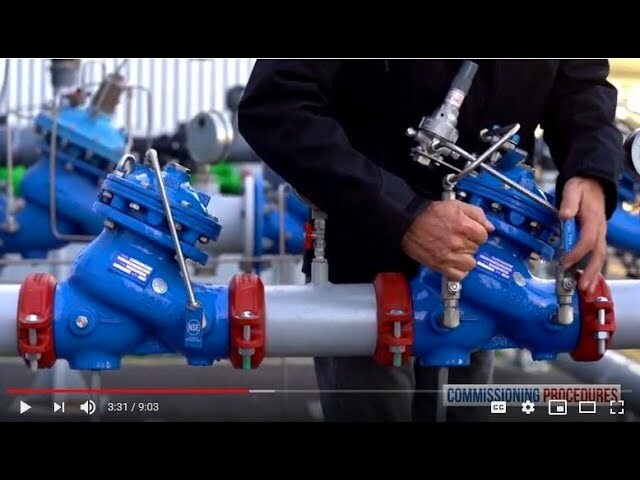 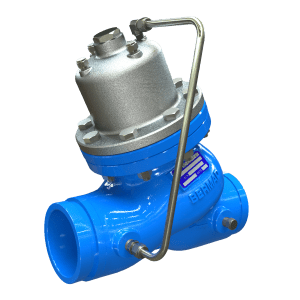 Hydraulically operated, diaphragm actuated pressure reducing control valve that reduces a high upstream pressure to a lower downstream pressure at a fixed ratio. 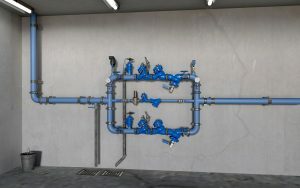 Two-Stage Pressure Reducing Station, featuring BERMAD BC-720-PD-P valves to reduce the incoming pressure by a fixed ratio and share the load with the BERMAD BC-720-P PRV, a redundant, parallel branch to minimize the possibility of total water shut-off and a low flow bypass branch for low demand operation. 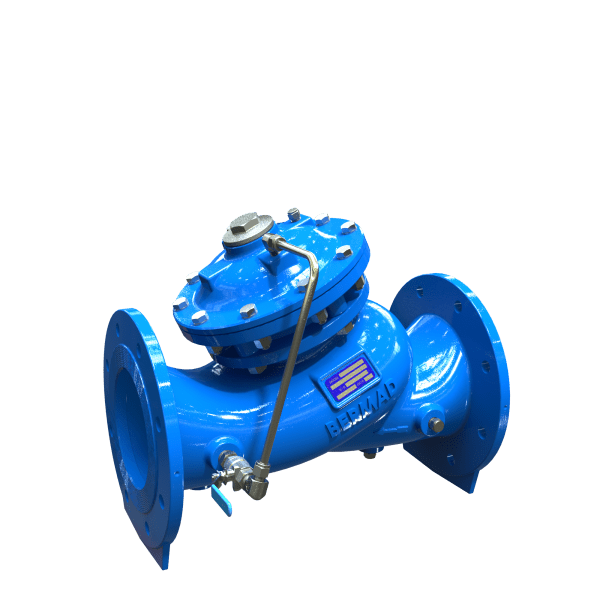 For information on the other BERMAD products in this system please see the product data sheet for the following components: BERMAD BC-720-P, BERMAD BC-73Q-P and BERMAD BC-70F-P.